Here you will find the complete list of cars we are looking for. Naturally, we would pay you finders-fee upon successful closure of a deal. 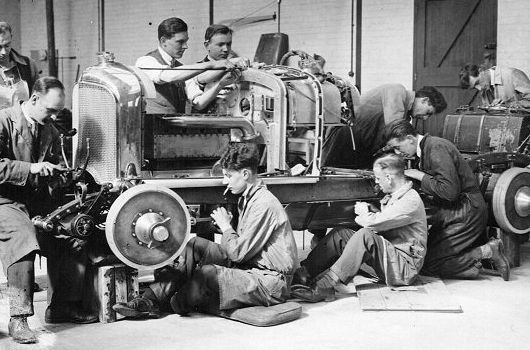 Cricklewood Factory Mechanics also called "the Bentley Boys"
Two tons of car; Big, rugged, solid, careening around a track, the screaming wail of the supercharger rising above the engine's roar - that was the famous Blower Bentley. Ten mad years! Jazzy, noisy, fun loving, fast moving, a devil-maycare attitude about everything - those were the Roaring Twenties. The decade and the car went together. The car was the hard-driving, earsplitting complement to the gay life. What the Stutz Bearcat meant to the college youth of America, the Bentley meant to the young bloods of England. It underscored, and quite noisily, the hysterical relief and reaction that followed World War I. And when the twenties ended, the Bentley was ended. It became sedate, silent, and aristocratic; for it was now being made by Rolls-Royce. 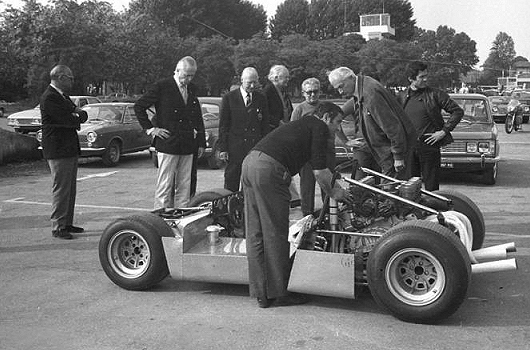 The AMS with V12 Lamborghini Miura engine was a one-off prototype built in 1972 for an American Gentleman who was planning to participate into European Sportscar racing. We are looking for all information available on this unique prototype. Bimota motorcycles was born by accident, though for superbike enthusiasts the accident was a surprisingly happy event. In 1966, Valerio Bianchi, Giuseppe Morri and Massimo Tamburini establised Idrotermica Bimota, a heating business in the town of Rimini, on the Adriatic coast, an area of Italy which had long been a center for both racing and motorcycle manufacture. 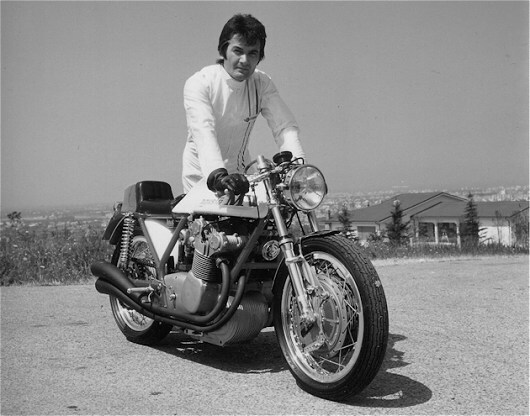 Tamburini's passion however, was motorcycle design and Massimo modified several local riders' machines to make them faster, lighter and handle better. His efforts were rewarded with success, and before long his work on one particular bike, the MV Agusta 600 four, had gained the admiration of the entire Italian biking fraternity. Yet, it was an event in the summer of 1972 which was the key to the birth of Bimota; a routine test session at the Misano circuit where Tamburini, his friend Giuseppe Morri and racer Luigi Anelli were testing a Honda CB750. Massimo crashed his Honda Four which left him with three broken ribs. There were once six brothers in Italy who were artists. Their name was Maserati. One, Mario, worked with paints and canvas. The others made things out of metal. Fine things with fine engines in them that won races and the respect of all men who admire artistry no matter what form it may take. 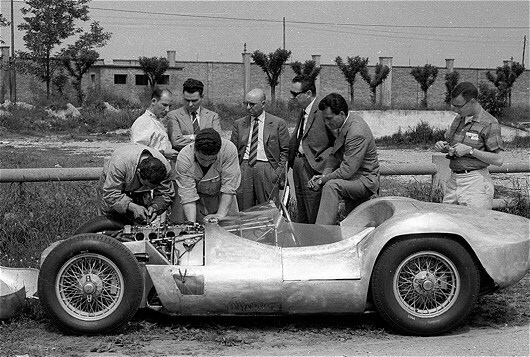 Of the five mechanically inclined brothers - Carlo, Bindo, Alfieri, Ettore, and Ernesto - three are still making cars as though they were making watches. Bindo, Ernesto, and Ettore, however, no longer make the car that bears the family name. They work in Bologna in their hospital-clean, uncluttered shop, building a car called the O.S.C.A., which stands for Officine Specializzate Costruzioni Automobili. We buy, sell, broker, locate, consign and appraise exceptional classic, sports and collector cars, arrange transport, customs formalities and registration. Jaguar, Ferrari and Maserati expertise, though our collection includes a wide variety of other superior motor cars. Contact us when you are serious about owning or selling a fine classic car. Geneva, Switzerland-based, we serve clients world-wide. The entire Museum Collection of Laverda motorcycles and collectibles from renowed collector and marque specialist Cor Dees is now sold. The collection features 81 motorcycles, scooters and mopeds and covers the complete history of Moto Laverda from 1950 to 2000. Dees dedication to the Laverda marque has evolved in a second to none display of this North-Italian motorcycle brand. He collected everything related, even artifacts and old machinery showing the agricultural roots of Laverda. Due to his close friendship with the Laverda family he was able to purchase many of the bikes and associated memorablia directly from the factory. He collected the bikes he liked, and those bikes are significant in the history of Laverda.